Speaking at a dedicated press conference on Tuesday afternoon, suspended Tallinn mayor and former longtime Center Party chairman Edgar Savisaar said that so far, nothing has been said during his trial that would support the charges of the Prosecutor's Office against him. According to Savisaar, this unambiguously meant that this was a political process. 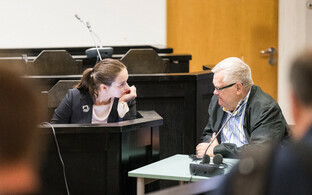 "Let me remind you that this has been going on for six years," Savisaar told journalists on Tuesday. "If it did have any substance whatsoever, it would not have been kept going for no apparent reason and they would have acted quickly. But this was kept going for six years." Savisaar said that the architects of his case, led by longtime State Prosecutor Norman Aas and Deputy Director General of the Estonian Internal Security Service (ISS) Erik Heldna had gone over to the private sector. "Why now, when the case has reached court, did they not wait for the results? Why?" he asked. The suspended mayor also recalled that the trial has influenced politics and even brought on a political turnaround. "They want to punish me because we showed the public the nighttime invasion of Tallinn city government; second, protests in front of the Office of the Prosecutor General; third, definitely the film 'Savisaar's Trial,' which quite adequately illustrated what is about to happen," he claimed, adding that these were the actual reasons he was now being punished. Savisaar also cited "bargaining with the witnesses." "There are 14 such witnesses in this case, who were presented with allegations in order to pressure them into testifying against me," he said. "For the most part, they are ordinary city officials whose involvement in the process in this manner is unacceptable." 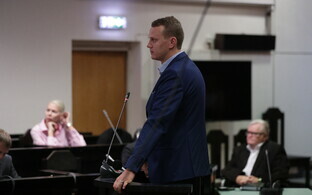 The former party chairman focused on witnesses testifying at the trial, beginning with former minister Villu Reiljan. "Reiljan admitted that he had not offered me a bribe, and this has also been recorded on tape," he pointed out. The second person Savisaar mentioned was former city official Priit Kutser. "Actually, Kutser's case shows how bargaining with witnesses works," he said. "'You testify against Savisaar and we will let you go; if you do not, we will keep harassing you.'" 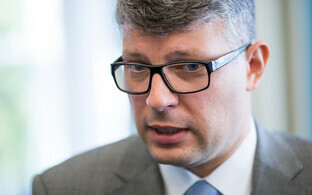 Regarding businessman Tarvo Teder, who also testified as a witness in the case, Savisaar said that his interest as mayor was for the tallest skyscraper in the Baltics to be built, and he also tried to facilitate this. "Let us settle this confusing story that Teder talked about," he said. "Teder said that in 2014, they would not support a single party. And so what? I said that next year we would discuss this topic again; maybe they would offer support then. There is nothing criminal abut that. Throughout this, Teder spoke not about bribes but about sponsorship. All party leaders talk about that. I spoke about things directly; I had no hidden considerations concerning that." 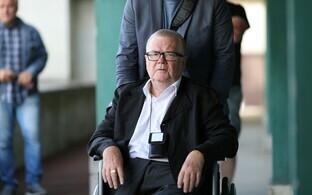 Regarding advertising businessman and former Center Party campaign master Paavo Pettai, the top witness of the Office of the Prosecutor General, Savisaar said that he did not understand why the Prosecutor's Office considered him their key witness, adding that Pettai did not provide any incriminating testimony against him. Oliver Nääs, Savisaar's defense lawyer, said that the testimony about bringing money from Switzerland was in no way linked with the charges. 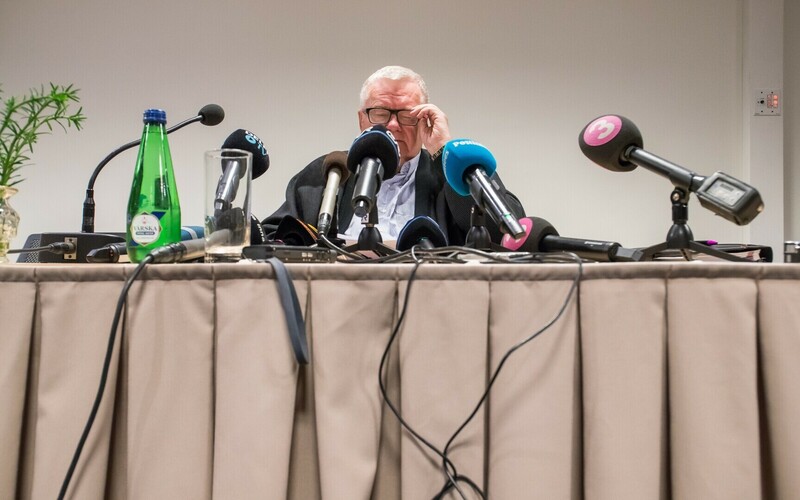 "I suppose all of the witnesses were relatively unacceptable for the Prosecutor's Office in the end," Savisaar said, adding that the Prosecutor's Office presumably hoped to get more serious accusations against them. Savisaar also said that he still did not know why he was being traced in the framework of intelligence gathering operations at the time. He said the court refused to introduce to him the circumstances linked with gathering evidence. "Back then, I was the leader of the opposition party, and in terms of the rule of law, it is important to bring the circumstances of tracing me before the public," he asserted. 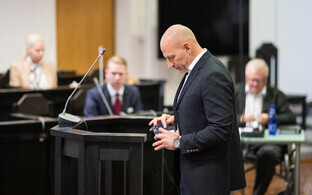 Harju County Court on Aug. 9 separated materials pertaining to Reiljan from the criminal case in order to pursue a plea deal with the businessman.